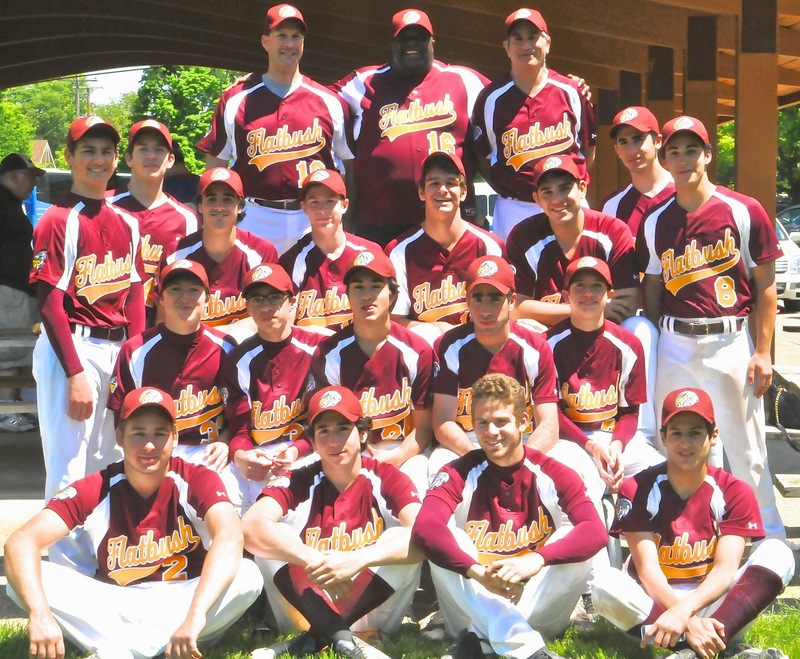 From the moment the Yeshivah of Flatbush Varsity Baseball team arrived in Columbus, Ohio, the boys set out to enjoy every moment of the experience and do everything they could to make it last as long as possible. To that end, they succeeded marvelously, extending the final game of the tournament to extra innings before ending the 3-day celebration of baseball and Judaism in America’s Heartland with an emphatic exclamation point! The Wellness Tzei U'lemad, taught by Ms. Robinson, gave me the opportunity to express myself through a creative and innovative outlet. When I first signed up, I did not imagine it to be half as beneficial as it was for my physical and mental well-being. After yoga trips and reflective writing assignments we had the two biggest projects of the year, the camping trip and the fashion show. The purpose of the camping trip was to place us in an environment in which we can truly appreciate nature. We don't always notice the natural beauty that is sometimes right in front of us. After spending an amazing couple of days making new bonds and memories, I found what I was looking for. Just like every stone and branch is perfectly placed in this world to add to the larger scenery, every human is placed to add to the overall beauty of the world. We didn't have to look great to feel beautiful and content with our selves. All we needed was to take a break from civilization and explore the forests that surround us (literally). The Wellness Fashion Show was another spectacular event. It was more about displaying confidence, rather then showing off external beauty. I takes a great deal of courage to strut down the ramp of the auditorium in front of half the girls of the student body. Ever since I was a freshman I admired the girls who walked in the show. I always planned to do it myself, but never thought I actually would. Every thing we did in the Wellness class led up to that moment. First we had to be content with our selves and have inner peace, before we can truly be confidence. Walking down the aisle gave me a rush of excitement and made me feel like a celebrity. With the music blaring and everyone cheering I couldn't imagine not participating before. It was also meant to show the younger girls that its possible to be confident while still being tzniut. A special thanks goes out to Nina Esses for organizing it. Life is so hectic that this class gave me an opportunity to step back and take in my surroundings. Having twelve classes a day can be stressful, but wellness is like a breath of fresh air. It is a place to escape to when all other routes are sealed off. I will cherish the valuable friendships I made and lessons I learnt throughout the rest of my life. I will continue to encourage those around me to be grateful for who they are and stay true to themselves. In the last game of the regular season, the Flatbush Girls JV Soccer team turned in their best performance of the season. Hosting the top team in the MYHSAL Girls JV East Division in the friendly confines of the Falcons’ Nest, the Flatbush Girls came out with high energy, clear focus and no pressure on themselves. North Shore was looking for a win that would give them an equal record to Ma’ayanot, the top team in the West. On paper, it should not have been no contest. Good thing the Falcons did not read that paper! With grit and determination, the girls battled from the first whistle to the final buzzer of overtime, earning a well-fought 6-6 tie with the powerful Stars from Great Neck. 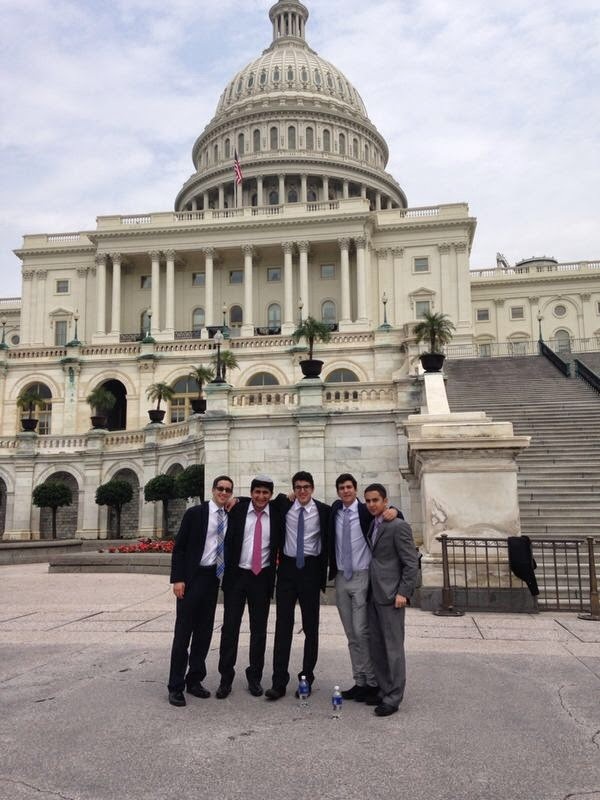 This past Wednesday, May 25, 21 Iyar, 50 Yeshivah of Flatbush students from the Israel Activism Commission traveled to Washington D.C. to lobby members of Congress and gain a firsthand experience in political activism. 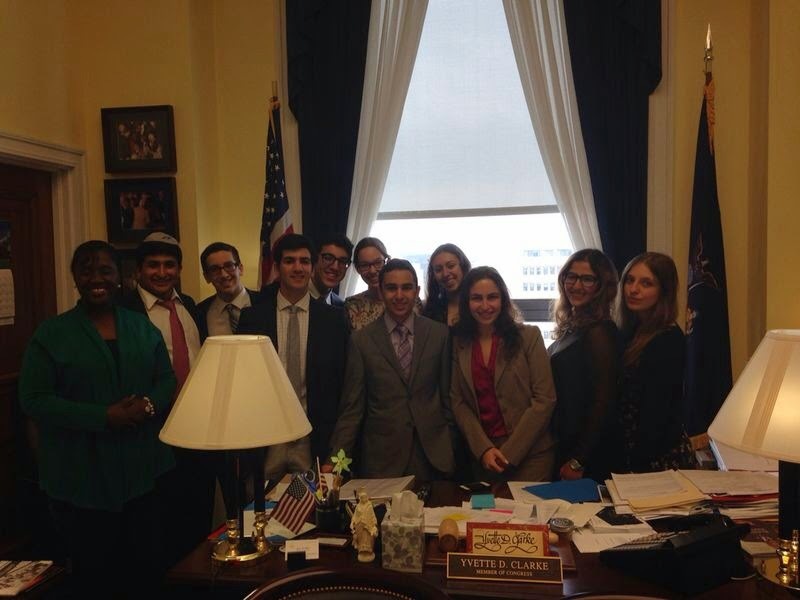 The students lobbied on behalf of the US-Israel relationship, and advocated for Israel's security needs and the importance of foreign aid. The students mentioned how Iran is getting closer and closer to a nuclear weapon capability and the steps that America can take to counter this threat. The students also spoke on behalf of the $30 billion plan President Bush promised to the state of Israel, and which President Obama upheld, to be distributed over a ten year period. The day started bright and early at 5:00am, as students woke up to arrive on time for tefilah at 5:30am and to receive breakfast. As we boarded the buses at 6:30am, we headed straight to D.C., stopping in Delaware for a rest stop and to change into business attire. 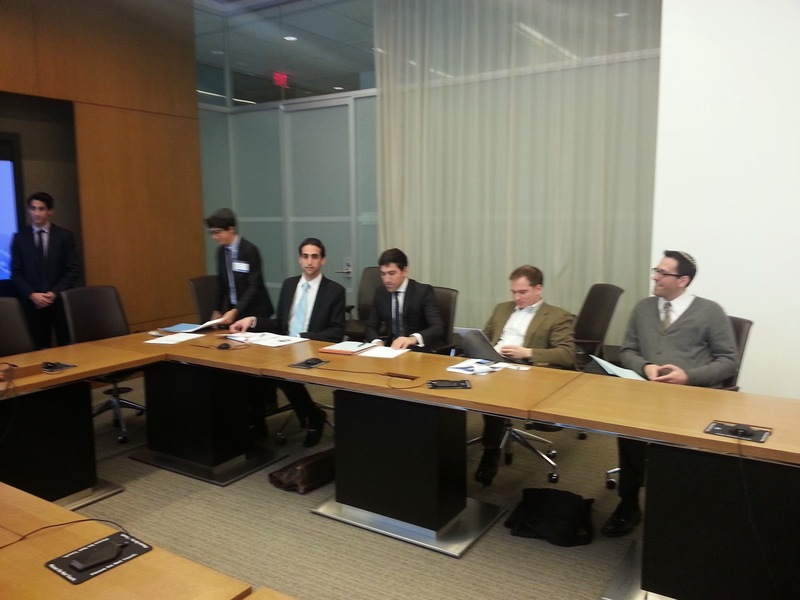 We then went to AIPAC headquarters for additional lobbying training (and pictures!). From there we headed to Capitol Hill for the culmination of our hard work. We arrived just in the nick of time, and returned to the Capitol after our meetings to take pictures with the group. With smaller sized groups than last time, each and every single one of us had the chance to interact directly to the congressperson or staffer, and all groups enjoyed successful meetings! The students then had an hour to relax in the beautiful Georgetown outdoor shopping district. This hour of chill time was much needed after the day’s work! They then headed to the Washington Monument, where those who chose to leave the bus immersed themselves in the purifying rain and received dinner. From then on out, it was an enjoyable bus ride back home, now with new connections and friendships forged, and memories that will last a lifetime. The Freshmen and Sophomore Reading Championships, a competition based on reading and analysis of interesting and diverse book excerpts, held it's end-of-year Awards Ceremony and Lunch in the library last Thursday, Florence Deutsch, Joseph Kusayev and Mimi Lawerowitz won the Freshmen awards, and Max Edeson, Michelle Harari and Victor Zalta won the Sophomore awards. All participants basked in the pleasure of having aced the yearlong Championship, winning Archon credit, and enjoying each other's company, as they ate their celebratory pizza lunch. The program, coordinated by Ms. Rachail Kurtz, Library Chair, and Mr. Brian Katz, Librarian, offers an opportunity for students to come together once a month and hone their reading and comprehension skills. As Michelle Harari shared with the group, most meaningful of all, was the opportunity to participate in the Championship, enjoy the challenge, and bond with good friends. On Sunday and Monday of this week, Ms. Robinson and Ms. Stein took a group of Yeshivah of Flatbush students on a nature and camping trip as part of our Wellness Tze U'Lemad class. For some of us, the camping experience began with an intricate branch from the ground. For others, it began with a rock, a flower, or even a torn up M&Ms wrapper. Allow me to explain. Arriving at Indian Head, I expected it to be like any other camping trip- one focused solely on the aspect of getting down and dirty. However, Ms. Robinson and Ms. Stein introduced nature through a very unique perspective. After settling in our cabin, we each created our own journals that we would be using throughout the rest of the trip. We crafted these journals creatively using artifacts of nature. Ms. Robinson advised us to explore the land and pick up objects from the ground that caught our eye; it should be something we found to be interesting, confusing, or even inspirational. After finding this mystery object, we were asked to write an excerpt that would speak from its inanimate perspective. This fun exercise gave us a chance to really understand the role and beauty of nature by thinking in a completely different point of view. Afterwards, we went rafting through the Delaware River. Through this hour of intense paddling, we discovered the importance of teamwork and also the painful, yet purifying effect of the cold water. Inspired by Ms. Robinson’s accidental, yet hysterical, encounter with the river, many of us voluntarily jumped in. Yes, the water felt like pins and needles piercing through our bodies, but it also drastically changed our mentalities; we now felt refreshed and exhilarated. The sweatshirts some of us regretfully wore were still soaked the next day. When returning to the cabin, we each assigned ourselves with a specific task in preparing our feast. With Ms. Robinson’s expert barbeque skills and Ms. Stein’s remarkable knowledge of sustaining a campfire, we were well prepared for an amazing night. After dinner, we each chose a branch and attempted to make s’mores using different techniques (some more successful than others). As we all snuggled around the warm campfire, we partook in meaningful conversations about enjoying life, finding ourselves, and discovering what makes us happy. Hours later, when the fire blew out, we went to bed full and content. Waking up after a long night of activity is perhaps a high school student’s least favorite activity. It is definitely right up there with mid-terms and finals. But there is no way to know what opportunities each day brings until you rise to face a new one. By early afternoon, the members of the Flatbush Baseball team took advantage of two such opportunities, both resulting in the earning of one of the most under-valued and highly appreciated of commodities: respect. 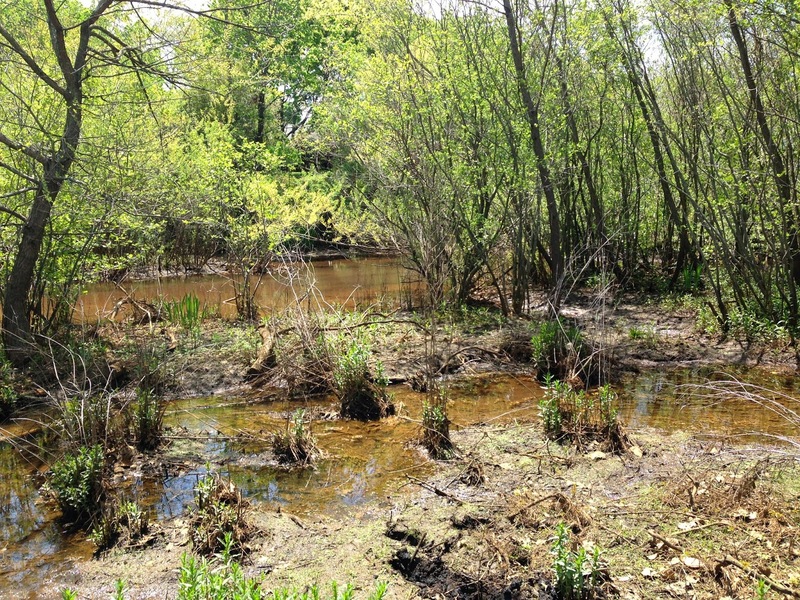 On May 13, 2014, twenty-two Yeshivah of Flatbush students traveled to Deal, New Jersey to study about watersheds at Monmouth University. We studied about the different types of creeks and how important it is to preserve the waterways that eventually lead to the ocean. On Wednesday night, students had an opportunity to cook for less fortunate families in a Yeshivah of Flatbush program known as "Cooking for a Cause." Each week the students cook something different and the food is donated to a Chesed organization. This week the students made Shepard's pie and potato bourekas for the Sephardic Bikur Holim food pantry. Thank you to master chefs, Lilly Betesh for leading and sponsoring the event. 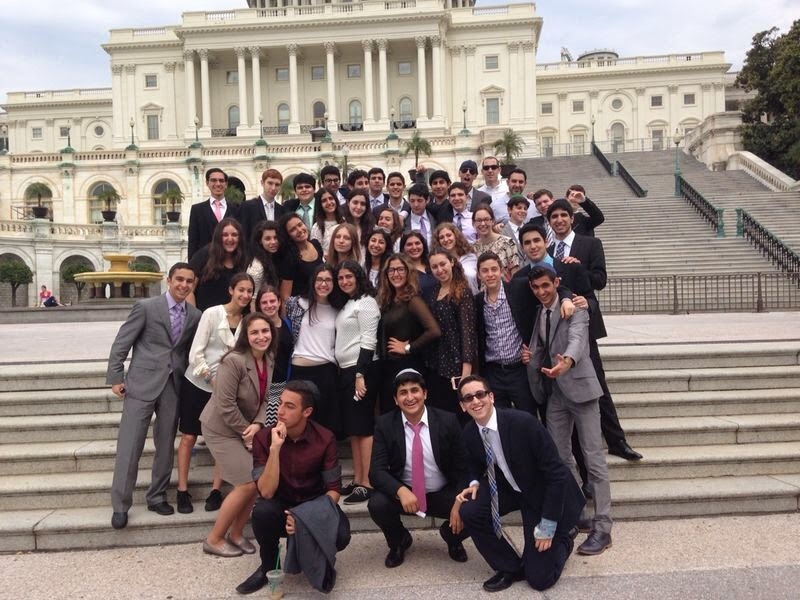 All participants had an amazing fun Chesed experience!! 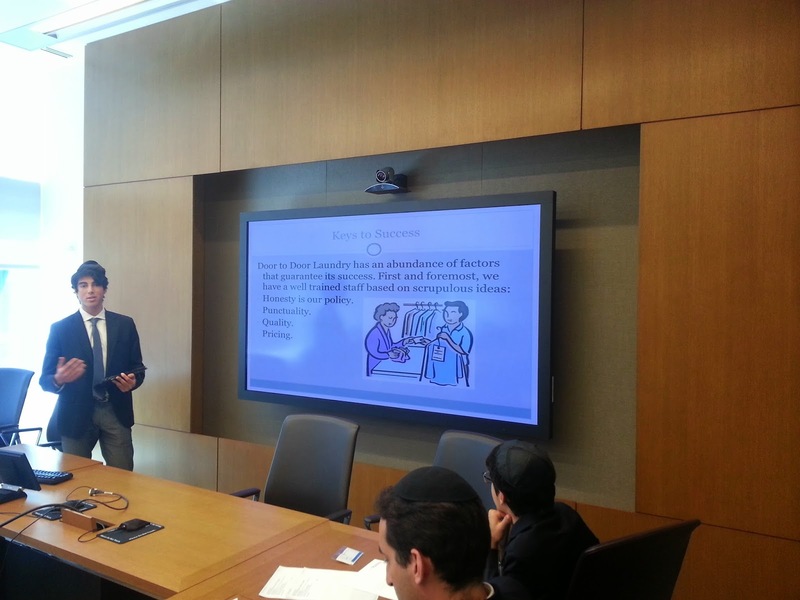 On Monday, May 19th, eight Yeshivah of Flatbush High School Juniors ventured into the World Headquarters of Goldman Sachs, the prestigious financial services firm, in downtown Manhattan. The students came equipped with iPads and presentation materials, ready to present business plans to a triumvirate of judges who would evaluate them. Student plans included an app marketing firm, a laundry service tailored for college campuses, a trivia app, and a biometric replacement for credit cards. 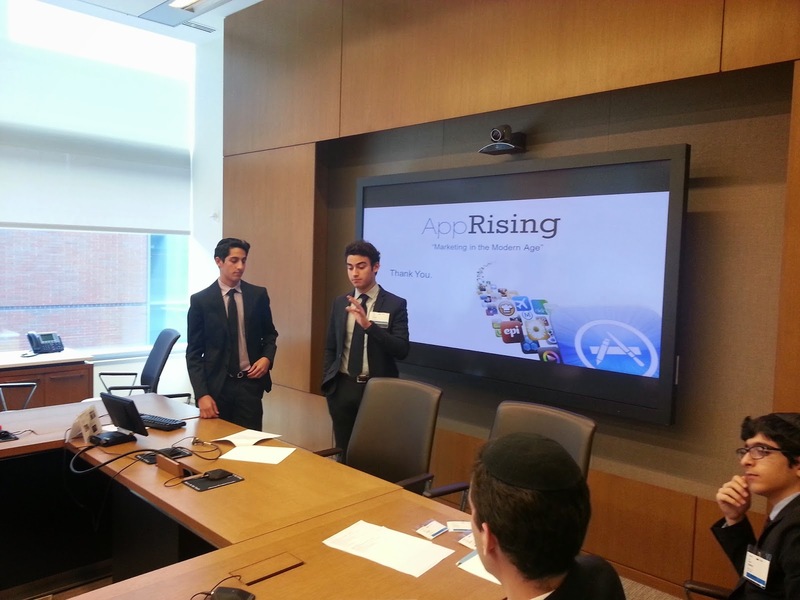 In the state-of-the-art boardroom, each set of students pitched business plans with aid of PowerPoint and other tools. 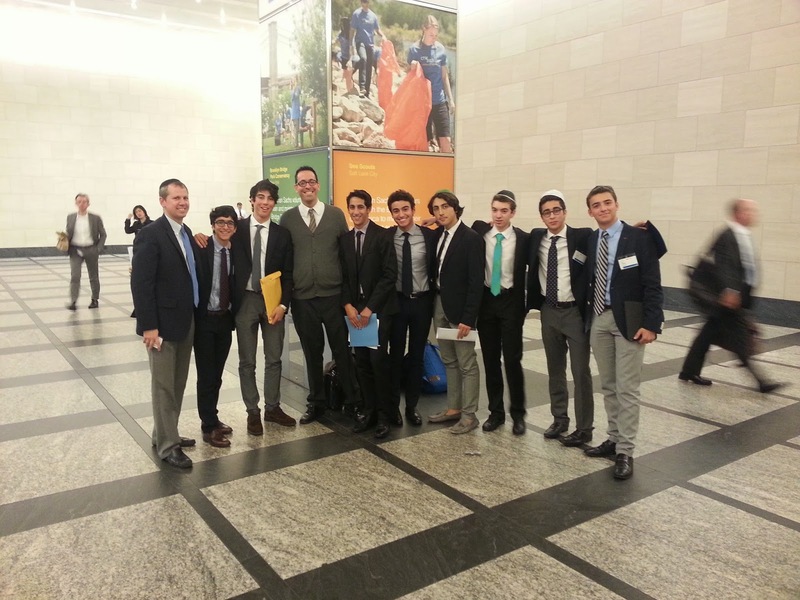 The excursion to Goldman Sachs was the culmination of a year-long project overseen by faculty member Leor Kweller and inspired by student leader Sol Betesh. Students were encouraged to devise an innovative product or service and then do the painstaking work of developing a business plan for the purpose of presenting to potential investors. Students were also challenged to hone on their presentation skills as they had to create PowerPoint presentations and then pitch them in front of judges. The judges had vast experience in business evaluation, including stints at world leaders such as McKinsey & Co, Bloomberg, Skadden Arps, Procter & Gamble and Goldman Sachs. After each presentation, the judges probed the students with deep questions leading to discussion as to how to improve upon each plan. The students came away enriched by this serious, high-level discussion with savvy businessmen. In the end, TriviAd, the brainchild of Jacob Chetrit and Saul Esses took best Business Plan and App Rising, by Steven Hakim and Robert Harary, won Best Presentation. 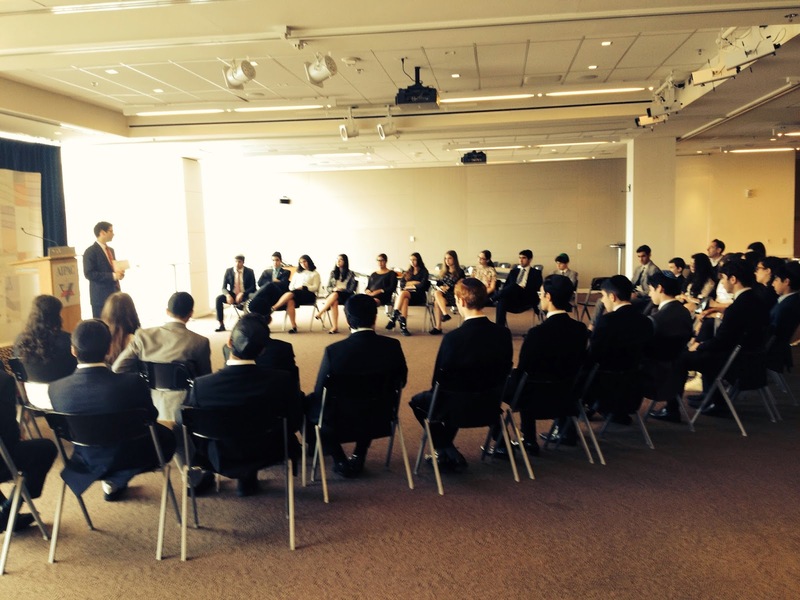 Special thanks to alumnus Sam Franco (HS '04) of Goldman Sachs and Rabbi Joseph Beyda for arranging this great experience for our students. Whether you call it late, late night or early, early morning, either way it was in the deep recesses of the night that 16 members of the Yeshivah of Flatbush Varsity Baseball team (one more would join later in the early afternoon in Central Ohio) and two staff members boarded the bus in front of the High School to depart for the school’s first-ever national baseball tournament experience. With Zalman behind the wheel, The Flatbush Falcons were off to take part in the Columbus Baseball Invitational (CBI) Tournament, the self-proclaimed “Jewish World Series” where Brooklyn’s best would have the opportunity to challenge themselves against some of the best yeshiva competition the country has to offer. For three days, nine schools from as far east as New York and as far west as Los Angeles would gather near the country’s heartland in Columbus, Ohio for competition, camaraderie and Torah learning. With the best Monsey Tours has to offer, the ride was smooth, relaxing and relatively quick (if you can consider a 10+ hour bus ride quick). The Falcons arrived at Capital University the first from out-of-town as the hosts were in the early stages of setting up. With our riders ravenous, after setting the boys up with space for shacharit minyan, the hosts assembled and impromptu breakfast – not originally part of the schedule – demonstrating both the open, welcoming heart of the Columbus Jewish community and the care with which all attending teams would be treated. 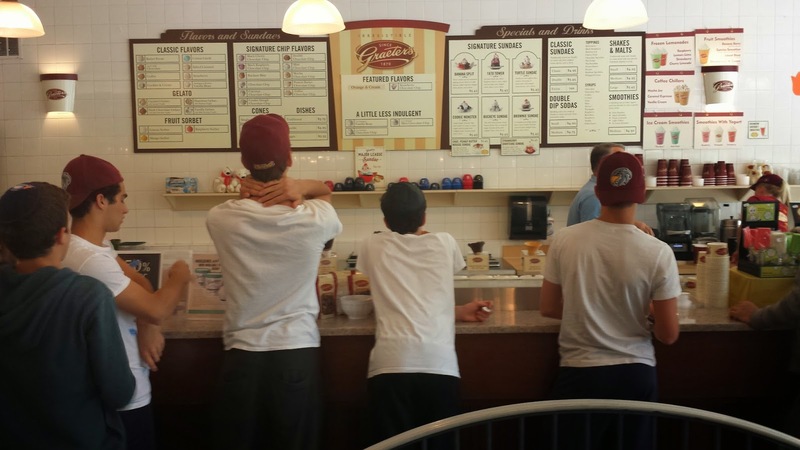 After settling in, a small excursion by foot took many of the team members to “Graeter’s hand Crafted ice Cream,” the only Kosher dining place in walking distance of our Columbus home. The owners were very outgoing and most hospitable, and the fare was equally tasty. With sun warm and the belles full, the walk back to the dorms was most satisfying. A few hours later, the team was back on the bus, headed to the campus of Columbus Torah Academy for “Spring Fling,” the Columbus’s Community-Wide Lag B’Omer Celebration. There were rides and food and music and games and food of which the players took part in varying levels. This celebration at the school was followed up shortly with dinner at the JCC pavilion, site of the tournament ball fields, and a traditional Lag B’Omer bonfire – replete with the requisite wooden pallets that are the staple of any true Israeli Lag B’Omer celebration! All this while the fist games of the tournament were underway. With the food ingested, the sights of the nearby games began to get the competitive juices flowing. It was time to return to the dorms, and to suit up! As a further example of the commitment of the community to the success of this event, and its investment in a positive experience for all participants, Flatbush’s players were not left to walk from the dorm back to their opening game. In a demonstration of “kol yisrael areivim zeh l’zeh,” one of the families from the host community of Columbus showed great kindness, offering their family transportation to the Boys from Flatbush; the Falcons rode in style (a full-size van) from the Capital dorms to the JCC ball fields for their first round match-up at CBI 2014. First Round – 3rd seeded Flatbush Falcons taking on 6th seeded Yeshiva Atlanta Lions. One of two late-night games on the opening day of the tournament, and the winners would face off in one of tomorrow morning’s semi-final games. In what appears to be a recurring formula, the Falcons looked to score early, then let the defense take over. It is a formula that relies on solid defense and dominant pitching. On this opening night, it is exactly what the Falcons would put forth. With Ace Ralph Navarro chomping at the bit to get back on the mound (he did not pitch in Wednesday’s game, and the ensuing match-up with North Shore slated for Friday was a washout – to be made up on Thursday, 5/22), the main question would be if he could keep from getting overly excited to be back in action. The question was given at the outset, and it was a resounding YES! Taking the green hill (set up in middle of the dirt infield), Navarro expertly set the Lions of Atlanta down in order – all by strikeout! The next part of the formula was put in place by the Falcon offense. With one out, Michael Shalom unsettled the pitcher enough to make him lose control of an inside pitch, striking him in the foot and earning a free pass to first base. Shalom promptly stole second, and continued to pull at the pitcher’s focus. While batter Nathan Haddad was fooled by strike three, the pitch was low and in, and the catcher missed it! Shalom went to third, and Nathan Haddad scooted down to first, both advancing on the passed ball. Another miscue by the pitcher-catcher battery allowed Shalom to score the first run of the game for Flatbush, and to allow Nathan Haddad to move up to Third Base. With the Atlanta pitcher now on his heels, he made his first mistake pitch of the game, and Michael Haddad made him pay. Haddad laced a solid single to left field, plating his brother Nathan with the second Falcon run. At the end of one inning, the Falcons had a 2-0 advantage. It was then back to Navarro, and to see if the defense was equal to the task. Through four innings, it was clear that it was. Each batter that came to the plate was sent back to the dugout. Most were by strikeout, but some also resulted from big plays in the field. Two came from a pair of big scoops of the glove by First Baseman Moe Maleh, one of which was the digging out an errant Navarro throw from the dirt. Another came from the sure glove of Sam Laniado in Right Field, who never lost sight of a towering pop fly that danced in and out of the array of lights in the outfield that played tricks with multiple shadows as the ball first went up through the path of light, and then back again on its way back down. In the top for the fifth, the Lions finally put a chink in the Navarro armor. Perfect through four and 1/3 innings, he let a pitch get a little high up, and the number 5 hitter made him pay, lacing a solid drive into the right-centerfield gap for a double. Centerfielder Joey Dayon was on it quickly and tried to catch the runner going into second, but the throw was not in time. Atlanta had its first base runner, and its first scoring threat of the night! Navarro refocused, and sat the next batter down on strikes. And with two out, the runner tried to make something happen, got a seed from catcher Michael Haddad to Third base and a waiting tag from Third Baseman Teddy Beyda for his troubles! The bottom half of the inning saw the Falcons threaten as well. Michael Tawil connected for a deep double. And when pinch-runner Morris Bijou slid safely under the tag of the Lion Third Baseman, it looked like the Falcons had something brewing. The Falcons had a man on third and nobody out. But the Atlanta hurler showed he was no slouch, and set down the next three batters in order, the threat ending with a meek groundout from the Falcons lead-off hitter. Again, the defense would have to shoulder the burden. Again, a Lion batter looked to start a threat. 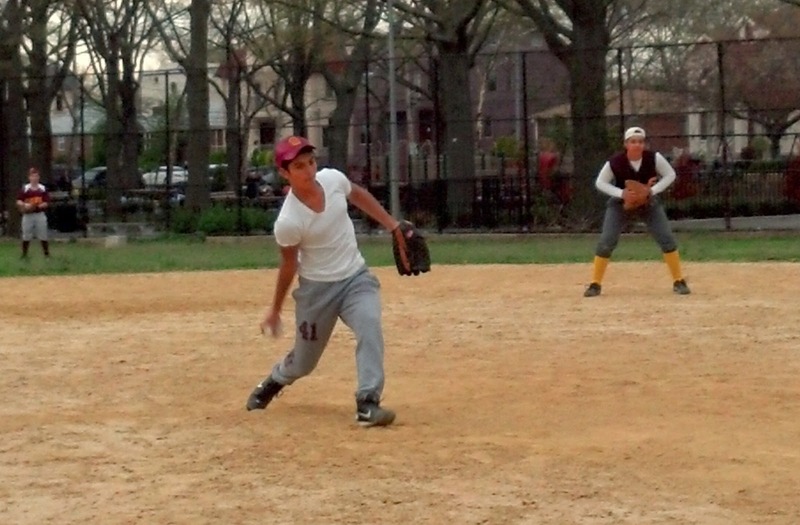 But this time, a defensive gem from Second Baseman Kevin Haddad stole the spotlight for a moment. Looping off the bat, the ball looked headed for a soft landing in very shallow center. Kevin Haddad had other ideas. Sprinting towards second base, he reached high and far back towards centerfield to make a leaping snag of the looping liner, bringing the Flatbush bench to its feet! And though the next ball, which was hit very sharply in the Second Basemen’s direction, was bobbled and tossed wide of first for an error (on the bobble, not on the throw). Kevin Haddad quickly recovered, as a good fielder must, and calmly made the play on the ensuing grounder to him, relaying the throw to Maleh to record out number three. With the Falcons again unable to get any more insurance runs, all eyes turned toward Navarro. Was there still anything left in the tank, or would the Lions have at him enough that in the third time through the line-up, with heart of the order coming to bat, they might solve him? Navarro would allow no such thoughts to linger. The number two batter went down on strikes for out number one. The number three batter went down on strikes for out number two, with the called strike two curve ball generating an exclamation from at least one spectator in the crowd, “that was NASTY!”, that drew emphatic head nods from those nearby. And finally, the number four batter followed suit, going down swinging with a foul tip that was snared by Michael Haddad and secured for the final out of the game. One was in the books, a Falcon victory in their first-ever game outside of the New York metropolitan area, and with a late morning date with Ida Crown Jewish Academy of Chicago, Illinois, the Falcons are hungry for more! Ralph Navarro was dominant in his performance against Atlanta, pitching four perfect innings before yielding a double with one out in the fifth inning. He would face only one more that the minimum 21 batters in the seven innings played. In earning his second complete game shutout of the season, Navarro recorded 15 outs by strikeout. As a team, the Falcons put forth a solid game across the board, registering no mental errors on offense or defense, and recording only one physical error all night. Last Tuesday, the Discovering Science class went to the Newtown Creek Waste Water Treatment Plant in Greenpoint, Brooklyn. There they learned how complicated and important modern waste water treatment is. There was a time in NYC when household waste water from kitchens and bathrooms flowed into canals behind homes. Today we have 14 waste water treatment plants that treat 1.3 billion gallons of water a day! It was an informative and eye-opening trip. Playing on the road is always a good test of a team’s focus and concentration. Playing a doubleheader on the road is doubly challenging. Playing those two games at two different locations – on a holiday weekend, no less - is a daunting task taken to the extreme. Nevertheless, this is the challenge the Flatbush Varsity Baseball team faced this past Sunday as they traveled to New Jersey to take on two quality rivals; facing off with SAR in Englewood, NJ in the opener and finishing of the day tackling Frisch in Paramus, NJ in the closer. In the end, the Falcons came up aces, returning to Flatbush in the late recesses of the night two wins richer for the experience. With a last-minute decision to change venues for the opener (due to flooding on the original site), the Flatbush boys arrived to Mackay Park in Englewood to start what would prove to be a marathon day of baseball. The park offered a synthetic grass field, ideal with all the rain that fell in the area, and with the sun shining high in the sky the conditions were ideal for baseball. This would be the second time these two teams would face-off this season, with SAR making a first-inning run stand up in a 1-0 victory in Brooklyn. As the visiting team, Flatbush would have the first crack at getting on the board. Unable to muster any offense the last time facing SAR, the offense still looked confounded by the SAR pitching as the first three batters went down in order by strikeout. But with Ralph Navarro on the hill for the Falcons, the Sting was also held scoreless in the first, with Navarro benefitting from a solid play from outfielder Michael Shalom on a line drive to left field. Flatbush had its first scoring threat in the top of the second inning when Michael Haddad led off the inning by legging out an infield single, then promptly swiping second base. Michael Tawil followed that up by drawing a walk. But Haddad got overconfident in his stealth, and was thrown out trying to steal third. The Falcons then registered two more outs around a walk to end the threat. Meanwhile, Navarro settled into a groove; he set down the Sting in order – all by strikeout – in the bottom of the second, and carried that momentum the rest of the way. In the top of the fifth, the Falcons finally pushed one across against SAR. With runners on first and second, Morris Bijou laid down a beautiful bunt. An errant throw on the play allowed Michael Haddad to score, giving Navarro all the cushion he would need. With solid defense to back him up, Navarro shut out the Sting for three more innings, securing a 1-0 victory in the first game of the day. After a stop for lunch in nearby Teaneck, it was on to Paramus and an evening tilt with the Cougars of Frisch. With the start delayed due to difficulty finding the field, the Falcons were soon ready to have at it, this time with the team’s other left-handed Senior hurler, Joey Dayon. The Falcons let in two runs in the bottom of the first inning (aided by a defensive throwing error). After that, Dayon showed his solid form, shutting out the Cougars for the rest of the inning and the next five after that. 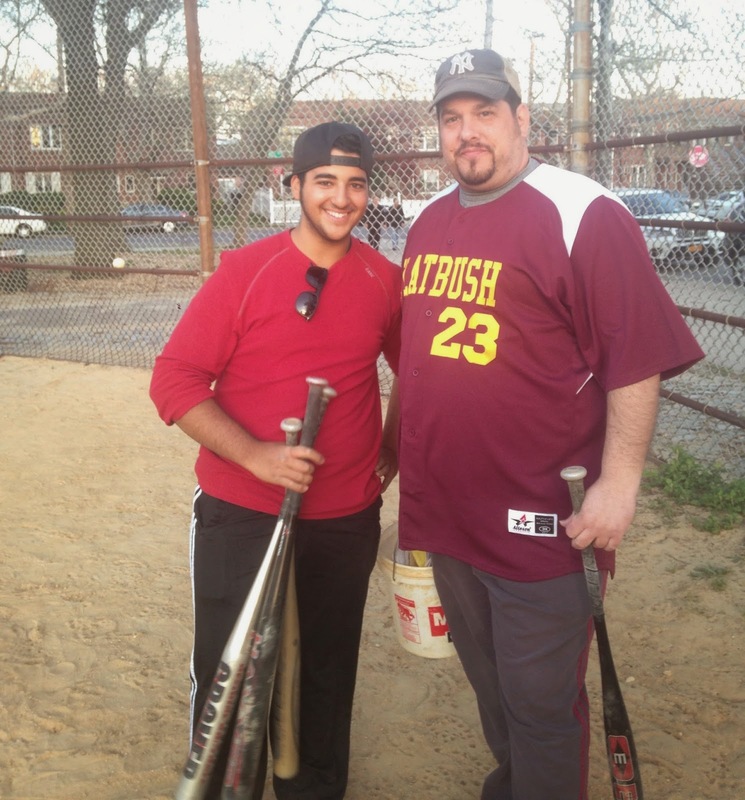 With Dayon settling in, the Flatbush bats finally came alive. In the top of the second, Freshman Teddy Beyda collected his first-ever Varsity hit – and a big hit it was! Beyda drove a hard single, plating two and tying the game. The Falcons took the lead in the top of the 6th on a Moe Maleh RBI; it was 3-2 Falcons! Now, all the Falcons needed were two solid innings of defense to close out the game and head home. Dayon took care of business setting down Frisch in the bottom of the sixth. The Falcons then called on Ralph Navarro to close out the second game of the day in the bottom of the seventh. The Cougars managed to get runners on 1st and 2nd. With two outs, Navarro induced a slow roller, which the batter was on his way to beating out, but the late throw was also thrown wide of Moe Maleh at First base allowing the tying run to score. However, the play was not over. Frisch, looking to win the game, tried to score the runner from first. Maleh chased down the errant throw, turned and threw the ball home. The ball beat the runner, and with the tag easily applied the inning was over – on to extras! Navarro would pitch two more innings without yielding another run, but neither could the Falcons push one across in that time. With Dayon and Navarro both out of gas, Coach Hall looked to a new source for late-inning pitching in Maleh. Maleh kept the Cougars scoreless in the 10th, setting the stage for the drama of the 11th inning. Maleh would open the top half of the 11th with a single. Navarro followed with a single of his own to put runners on 1st and 2nd with nobody out. Elliot Zakay was the next batter, and he laid down a beautiful sacrifice bunt, moving the runners to 2nd and 3rd with one out. With two chances to knock in the winning run, the first quickly went by the wayside when Beyda struck out. The next batter was Michael Shalom. With two outs, the Frisch pitcher intentionally walked Shalom to set up a force at any base. That would bring up Freshman Sam Laniado. With the bases loaded and two out, Laniado battled and worked the count to a full 3-2 count. Showing patience and discipline, he laid off of ball four, drawing a bases-loaded walk to drive in the go-ahead run. The next batter would be retired, but Flatbush now had the lead, 4-3! Maleh would make it stand up, setting down the Cougars without a whimper and securing the game, and his first career win as a pitcher. 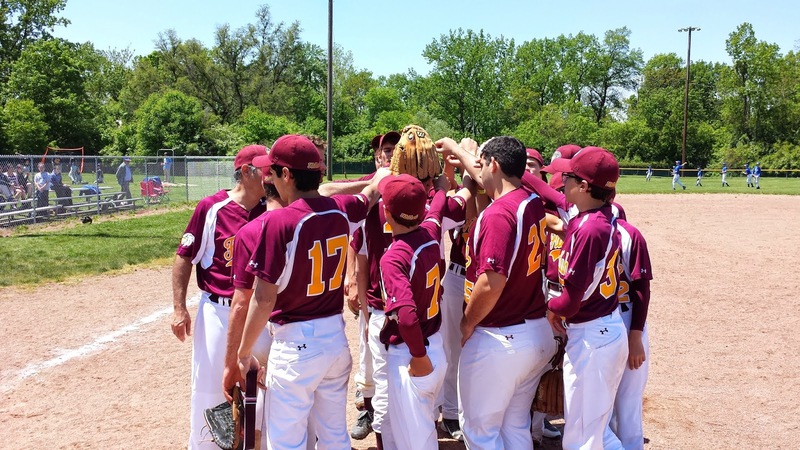 After a long day of baseball, the Falcons battled two quality opponents, earning 1-run victories in both ends of the doubleheader, and an enjoyable – albeit very late – return to Brooklyn. With the win, the Falcons moved their record to 4-1, earning a 3-seed in the upcoming Columbus Baseball Invitational Tournament starting Sunday (5/18 – 5/20). The game against Frisch marked the first time this season the Falcons would need extra-innings to determine a winner. In addition to recording his first career hit, Teddy Beyda hat the hot glove, recording 9 put-out/assists at Third base. Moe Maleh, in earning his first career victory, pitched two innings of shutout relief, recording two strikeouts while not giving up a hit or a walk. Flatbush returns to action with a match-up with perennial League power Kushner at Comer Field in Brooklyn on Wednesday night. It is the team’s last game before heading to Columbus, OH for the three-day tournament. This past Shabbat the Sephardic history elective class taught by Mrs. Wielgus had the first ever "Sephardim in the City" shabbaton at the Safra Synagogue in Manhattan. 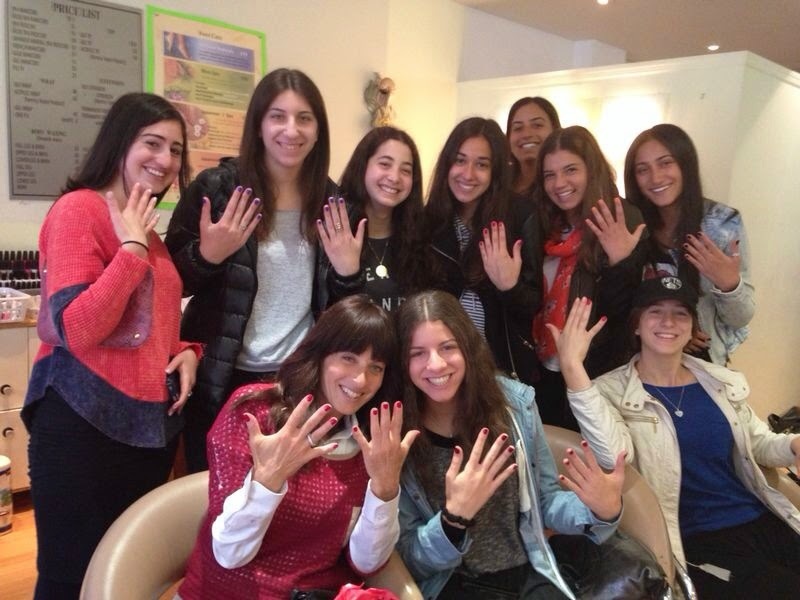 We started the experience off with manicures and lunch. Then, we went to Oh Nuts to buy some "nosh" for our weekend. After the train ride to Manhattan we arrived at the Safra Synagogue where we met Mrs. Beyda, mother of Assistant Principal Rabbi Joseph Beyda, who gave each of us a bag of snacks for Shabbat. After that we attempted Citi Bikes, but had some technical difficulties so we ended up going to Sony Wonder-World. We then met our host families, prepared for Shabbat, and met back at the Safra Synagogue, where we prayed Mincha and Arbit. The minyan had an international flavor- we met people from France and London who ate with us at our host, Rabbi Dr. Elie Abadie and his family. We all introduced ourselves and got to know each other. Sarah Cohen gave a Dvar Torah on Parashat Behar and Rabbi Abadie gave us an overview of Sephardic history. We ended off with some Pizmonim, a typical way to end off a Sephardic Seudat Shabbat. On Saturday morning, some students went to an interactive youth minyan led by Flatbush's very own Oriel and Michael Abadie, the rabbi's sons. The others attended a beautiful service in the main minyan followed by a lavish kiddush, where we got to mingle with the Safra congregation. After that, was Seudat Shabbat where we had the opportunity to hear from Mrs. Esti Abadie. She spoke to us about the famous Sephardic women in Jewish history. Once again we ended off with Pizmonim. Three teams of students representing Yeshivah of Flatbush recently won highest honors in year-end standings of this year’s WordWright Challenge, a national competition for high school students requiring close reading and analysis of many different kinds of prose and poetry. Participating with 596 high school teams from all across the country, the school's ninth graders placed second in the nation in the cumulative standings at the end of the four meets held this year. At the same time, its tenth graders also placed second in the nation (after finishing first in the year's final meet), and its eleventh graders placed first in the nation. While not winning year-long honors, the school's twelfth graders tied for third place in the year's final meet. The teams were supervised by Mrs. Shifra Hanon. Four of the school's students won highest honors for year-long individual achievement as well: Freshmen Michael Goldstein was one of the nine highest-scoring ninth graders in the entire country in the year-end cumulative standings, while sophomore Sylvia Franco was one of the nine highest scoring tenth graders, and sophomores Victoria Gindi and Dylan Sutton among the 14 highest scoring tenth graders nationwide. Students who excelled in this year's final meet, held in April, included freshmen Deborah Coopersmith, Madelyne Deutsch, Michael Goldstein, Esther Levy, Florence Deutsch, Ricki Khezrie, Estelle Saad, Naomi Sanders, Marcelle Setton, and Bonnie Tawil; sophomores Sylvia Franco, Dylan Sutton, Lily Betesh, Esther Bildirichi, Max Edeson, Rachel Isayev, Michelle Zalta, Ruthie Gindi, Victoria Gindi, Daniel Salzman, Evelyn Tawil, Gabriel Vizgan, and Emily Waingort; juniors Matthew Bukobza, Marc Esses, David Feintuch, Ginette Laboz, and Jack Tawil; and seniors Raizy Cohen, Sarah Cohen, Isaac Dayan, Andrew Hersh, Ely Kattan, Julie Mizrahi, and Susie Sasson. On Yom Ha'atzmaut, Tuesday, May 6, 2014 / 2 Iyar 5774, Yeshivah of Flatbush held our annual Spring Concert event, which is a showcase for many of our high school's most talented musicians and vocalists to share their talents with a vibrant audience of peers and members of the faculty. Under the leadership of Senior Jack Mosseri, the concert proved to be a huge success, both musically and through technical execution. Key performances included songs by Blink-182, All Time Low and Paramore, with the core backing band of Jack Mosseri on lead guitar, Marc Barsano on bass and David Cohen on drums, as the driving force behind many of the numbers. Esty Fromer, Janet Chrem, Robert Harary, Sheila Mishan, Helen Shalam, Chloe Dweck and Merle Cohen, among others, energized the audience with outstanding vocal performances. Other highlights included a great cover of "When You Were Young," led by singer/guitarist Bob Husni, a freshmen band covering Blink-182 featuring Michael Catton, Ikey Benzaken and Raymond Betesh, effective rhythm guitar work by Joseph Mishan, and a hilarious karaoke medley performed by the duo of Victor Dweck and Joey Cohen. Sound and lighting effects were operated magnificently by Victor Dweck and Rashelle Gersh of the AV Squad, and Isaac Levi manned the video camera, while Ariel Elmann handled his role as MC with humor and panache. The faculty supervisor was Mr. Brian Katz. Spring Concert 2014/5774 was received very positively by the entire audience, further enhancing the excitement and enjoyment of an already special day. We look to expand and heighten the experience even more next year - get your bands, or other acts, together and start practicing for auditions TODAY! 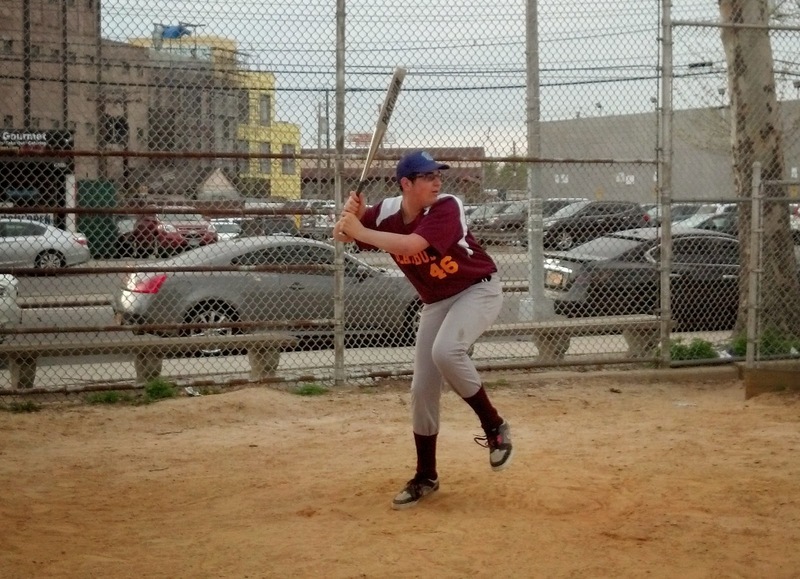 Amid a very busy week for the Boys Varsity Softball Team, the Boys celebrated Yom Ha’atzmaut in style, collecting their first victory of the season with a walk-off home run in the bottom of the seventh to defeat YDE at the Mill Basin Fields in Brooklyn. Just one day earlier, the two teams met at the same field with the Falcons finding themselves completely over-matched. The YDE Thunder varsity dominated every aspect of the game as they cruised to a 7-0 shutout of the “visiting” Flatbush boys. What a difference a day makes. The defense showed up. The outfielders were very solid in their play, with Victor Dweck expertly patrolling centerfield. As a result, Eyal Goldberg pitched with more confidence, comfortable in the knowledge that his fielders would make all the necessary plays. On this day, the defense held the Thunder to just two runs. But as good as the defense was, the offense was still anemic. The most the Falcons could muster was one measly hit, by Matan Guez in the bottom of the first inning. Guez’s single sent the player on base to third for the only threat the Falcons offense would produce all game. That is, until their final turn at bat. Trailing 2-0, and with no reason to believe they could get any closer (in the previous 13 innings the Falcons generated a grand total of zero runs), the Flatbush Varsity Boys had one last chance to make something happen. And, make something happen they did! Second at bat was Guez, who had the only Flatbush hit to that point. Guez promptly stroked a triple, and with that one at bat, you could feel the atmosphere begin to change. The Falcons were threatening! Up next was Victor Dweck. But with Guez in easy scoring position, he also hit an easy pop fly back to the pitcher. The Falcons were down to their final out. With two away, the next batter was Sam Zalta. Zalta proceeded to smack a single between first and second, plating Guez for the Falcons’ first run in two games and cutting the YDE lead to one. That brought to the plate Sammy Dayan. In his two earlier at bats, Dayan struck out looking and grounded out to shortstop. There was no reason to believe this time would be any different. And when the pitcher got two strikes on him, many believed that the game was over. Dayan had other plans. When the next pitch came in, Dayan gave a mighty swing. He connected, the ball sailed way over the centerfielder’s head, and rolled and rolled and rolled! Zalta was off and running on the hit and easily crossed the plate with the tying run. Dayan, too, was steaming around the bases. The YDE outfielders tracked the ball down and relayed it back in. All the while, Dayan kept motoring. Coach Fleischman, at third base, saw the Thunder working the relay and made the decision. Waving his arms in a wheeling motion, he sent Dayan hurtling towards the plate. In came the throw; home came Dayan . . . both nearing the plate almost simultaneously. With the catcher at the plate, the ball and Dayan were on a collision course. And, the ball slipped through the catcher’s legs. Dayan touched the plate – SAFE! The Falcons defeated the YDE Thunder to register their first win of the season in most dramatic fashion! 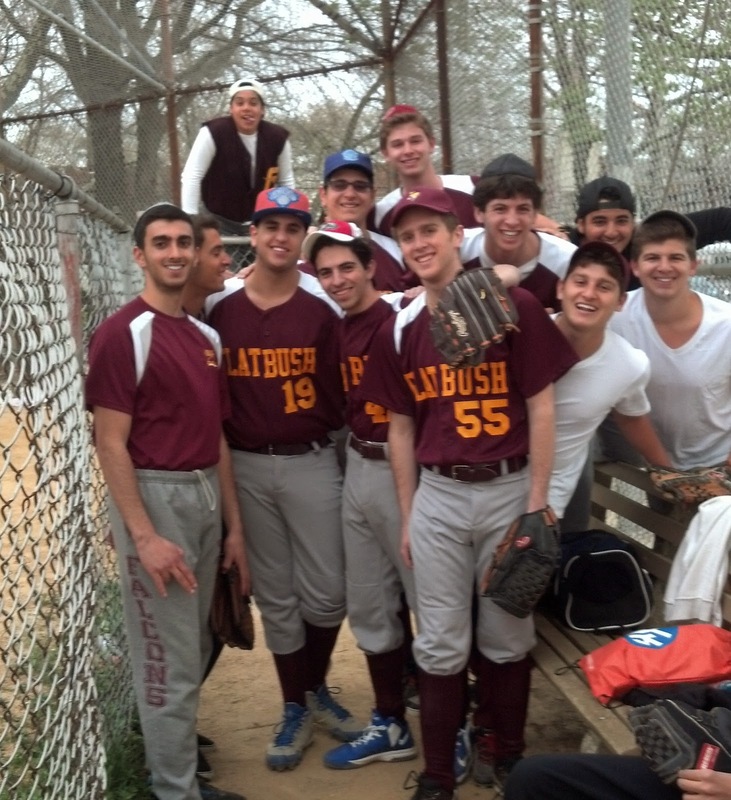 The Varsity Boys Softballers were back in action the next evening, and dropped a heartbreaker to Shaare Torah. Leading 3-2 heading into the bottom of the 7th inning, the Falcons got the first two outs and looked to be headed to a second straight victory. With one runner on, the game looked to be over when the Shaare hitter checked and struck the ball. By rule, he should have been deemed out as you cannot bunt in the MYHSAL (and a check is the same as a bunt). But the call was not made and the batter was safe at first. The next batter hit a long double, plating both runners to end the game with Shaare Torah on the winning end of a 4-3 score. After one day off, the Varsity Boys will be back in action on Friday for a doubleheader against Magen David at the asphalt field on Avenue P and 13th Street. The first game is scheduled for a 3:00 pm start. Last Sunday, the Yeshivah of Flatbush family held their 4th annual Daniel Chernikoff Memorial Day. Daniel, a member of the 2003 graduating class, passed away suddenly a few years ago, at a very young age. Since then the Yeshivah has held an annual day of learning and hockey in Daniel's memory. Both Torah and Hockey were two things that Daniel loved doing. The day began with Sunday Morning Learning, with learning and a Shiur given by Rabbi Shay Urim, on the topic of 'Israel'. The second half of he day was filled with a hockey tournament dedicated in Daniel's memory. Over 60 students, alumni, family members, friends, and community members came together for the tournament. After a few hours of intense hockey, the championship game was set between the red and the white team. Some of the members of the red team included Jesse Salem (HS '05) and Danny Harary (HS '03), who was a close friend of Daniel. With less than a minute remaining both teams found themselves in a 0-0 game. It seemed that the game would end that way, but that changed very quickly. Rabbi Joe Blumenthal (Alum and Current High School Faculty), a member of the white team found himself on a break away with :47 seconds left, but was taken down hard, and was allowed a penalty shot. After scoring on the penalty shot, the white team added a second open net goal with less than ten seconds, to seal the victory. Members of the winning white team included R' Joe Blumenthal, Judah Blumenthal (HS '04), Zev Levavi (HS '04), Reuven Levavi (HS '01), Isaac Jonas (HS '04), Avi Jonas (HS '07), Avi Abadie (HS '07), David Tannenbaum and Seth Frankel. The day was a tremendous success. The Yeshvah would like to thank all those who helped sponsor, arrange, and organize the event. Tizku LMitzvot. With a brisk nip in the morning air, Coach Wielgus and 15 members of the Flatbush Track team alit from the bus and descended the stairs to the weathered track on the campus of Kushner Academy in Livingston, NJ. With great anticipation, the runners and jumpers gathered trackside, warming up under the lead of Junior Eddie Farhi, nervous energy running through the team; excited for the opportunity to test themselves against the rival yeshiva teams while equally unsure of the process as all were new to meet competition. With the racing numbers pinned on, and the teams all warmed up, it was time to compete! First up on the day were the girls running the 100m sprint, followed immediately by the boys running the same distance event. The shortest and most explosive of the races, the field was large and required a multiple number of heats. The meet format did not allow for finals; each runner would run only once. So, runners raced both against the others in their heat specifically and against the clock in general. With each team directed to place their top runners in the first heats, Shana Ravvin stepped up and would become the first Flatbush student-athlete ever to represent the school in head-to-head interscholastic track competition. Ravvin was slow off the blocks, but as the runners moved down the straightaway, she slowly began closing the gap on the leaders. While her competitors began to lose speed, Ravvin continued to accelerate, crossing the line just a small step behind her Ma’ayanot competitor. After the completion of six more heats with each of the six female Flatbush competitors giving it a try, it was final; Ravvin placed second in the 100m, taking home the first track medal for Flatbush in Yeshiva League competition! The boys took center stage next, and not to be outdone, Junior Sam Zalta took the inside lane that was held by the Flatbush girls in their 100m heats. Like Ravvin, Zalta built up speed down the straightaway, just getting legged out by the runner from Frisch. When the ensuing heats were completed, Zalta equaled Ravvin’s feat, taking home “silver” in the boys 100m. But, this was just the start for Zalta and the Falcon Boys. Natanel Nemet takes second in the Mile Run by a mere :01 seconds! The next race contested would be the mile run (slightly shorter than the 1600m distance contested in international meets), four grueling laps around the Kushner oval in one of track’s signature events, and the longest race of this competition. With top runners Victor Zeitoune and Jack Sasson unavailable, the mantle fell to freshman Natanel Nemet to represent the Falcons. Nemet is an experienced distance runner, having placed 4th in his age group in the HODS 5K Race and having recently completed the Jerusalem half-marathon. But he had never raced this “short” a distance before. With the advance advice to stay with the leaders and then try to push past on the final turn, Nemet toed the line for the start of the race. He rapidly settled in behind the leaders, never letting them get more than ten to fifteen meters ahead, looking to stay within striking distance. By the end of the third lap, it was clear that this would be a two-man race, with all but his Frisch opponent fading back. As the two leaders entered the final turn, Nemet began to make his move. Coming down the final straightaway, Nemet methodically closed the gap. With each stride, the distance between the two leaders grew smaller and smaller. As they approached the finish line, the gap had nearly dissipated completely, and they appeared to cross in a dead heat! But, the clock would differ. In what was the closest finish of the day, Nemet’s final dash fell .01 hundredths of a second short. He took home second place for Flatbush - the winning time turned in by the runner from Frisch was 6:08:32;Nemet crossed the line in 6:08:33! The next event was the long jump. Flatbush put a maximum number of competitors forth, and had a team member place in both the girls and boys competition. For the boys, the two Eddies looked to give a good showing with jumps in excess of 12 feet for both Farhi and Keda. But it was teammate Sam Zalta that led all Falcons with a jump of 13’2’’ and a surprise finish of third place, just 3 inches out of second (and a full 1’2” behind the winner from Frisch). The girls gave an equally impressive showing with Shana Ravvin and Addie Abihzer showing good form in their respective take-offs and landings. But like the boys, it was another teammate who surprised to place amongst the leaders. With her first-ever jump in either practice or competition, Michelle Harari turned in a leap of 10’10” to take the lead after the first round! In the second and final round, the top entrant from Ramaz eked past her with a jump of 10’11”, and she was later tied by Ma’ayanot’s best performer. Harari would have one final chance to eclipse them both. Building up speed down the runway, she maximized her distance, taking off right on the toe board and extending her legs out far in front. But as she landed, her arms reached back at the last instant and dragged the sand just behind her. With the jump being measured from the part of the body that hits the ground closest to the toe board, her second jump resulted in a mark equal to her first. Harari finished in an impressive, yet agonizing, tie for second place. But, Harari was just getting heated up. The next event would be the 200m, a very long sprint that tests the staying power of the best sprinters. Flatbush’s scorers in the 100m both faded in the latter parts of the race. Harari would do just the opposite. With the inside lane, Harari would be able to see her competitors the entire race. Coming out of the turn, she was in the middle of the pack, but closing fast. Where the short-distance sprinters began to fade, Harari built up speed. She quickly reeled in one runner and closed fast on the leader. Matching Ramaz’s runner stride for stride, Harari inched ever closer, and by the time the two reached the finish line, Harari caught her! Michelle Harari won her heat by the slimmest of margins! Unfortunately, it was good enough only for fourth place, as her overall time could not best those who ran the earlier heat. Rounding out the competition on the day would be the only true team event of the meet – the 4x100m relay. Each school put forth its four best sprinters. Each would run 100m, then pass the baton to the next teammate in line. If the baton is dropped, or if the exchange is made outside the designated zone, the team could be disqualified. Prior to the meet, the Falcon tracksters had only ever practiced this exchange once, and that was in the confines of the high school gym! First up were the girls. With only two true sprinters, the Falcon girls were at a clear disadvantage. Distance runners filled out the team, but though they put forth a great effort, the team failed to place – however, they did finish the race! Next were the boys. Unsure of what would be, the Falcons took to the track with confidence, each runner in his designated place; lead-off man Eddie Keda awaiting the signal to go and each ensuing runner awaiting his turn to convey the baton. With the starter’s signal, Keda was off! He staked the Falcons to a slim lead that was extended slightly with each ensuing leg. Natanel Nemet took the baton from Keda, and passed it off to Eddie Farhi. When the baton finally reached the hand of Sam Zalta running the anchor leg, he took off like a rocket. Nearing the finish line with a narrow margin over his Kushner opponent, he exploded with a final burst to get separation and cross the line in victory! With a time of 1:00:72 seconds, the Falcon four moved the baton around the track :63 tenths of a second faster than second-place Kushner,claiming victory in the only true team event of the meet! 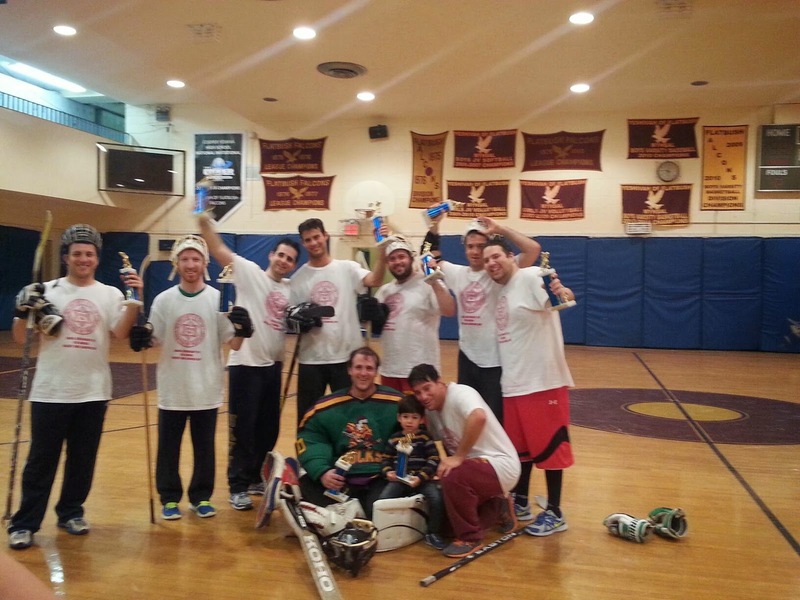 It was clearly a banner day for Flatbush’s newest team! On the day, the 15 team members that came to compete for the Falcons took home one first place finish, four second-place finishes and one third place finish; a very impressive showing for the first time ever in competition. As a result, the boys finished the meet with a total of 12 points, good enough for second place overall (Frisch placed first with a total of 28 points; Kushner finished in third place with 9 points). The Flatbush girls tallied 6 points, finishing behind Ramaz, Ma’ayanot and Kushner (25, 19 and 12 points respectively). 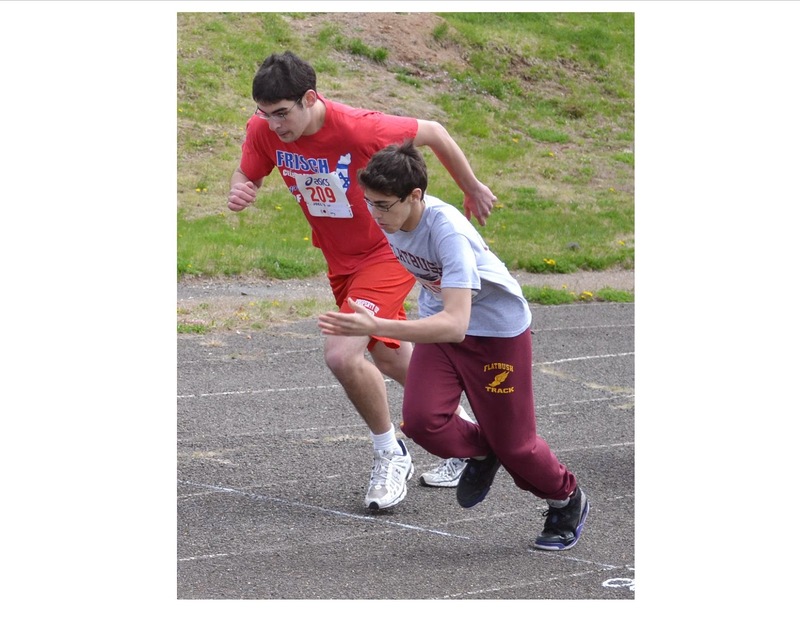 The team will return to Kushner Academy on Sunday, 5/11, for the second, and final, MYHSAL Track Meet of the 2014 spring season. The team will look to improve on its quality showing from this first meet. The meet will start at 10:30 am at the Kushner Oval located behind the school complex in Livingston, NJ.